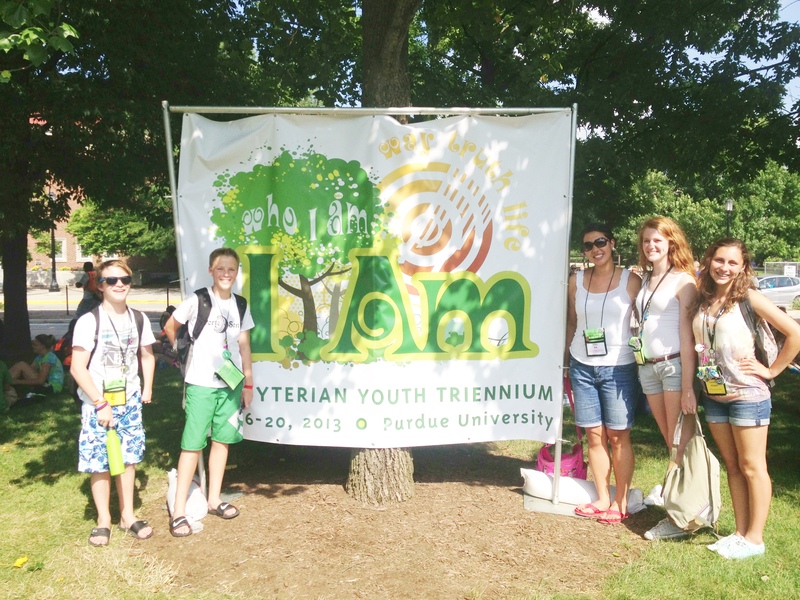 I just came back from taking a delegation of youth to the Presbyterian Youth Triennium at Purdue University in Indiana. I did this right after returning from a youth mission trip (where we were camping), assisting in a memorial service, Sunday worship, pre-Triennium event, and then to Triennium. Needless to say, I was tired at the beginning of the trip. 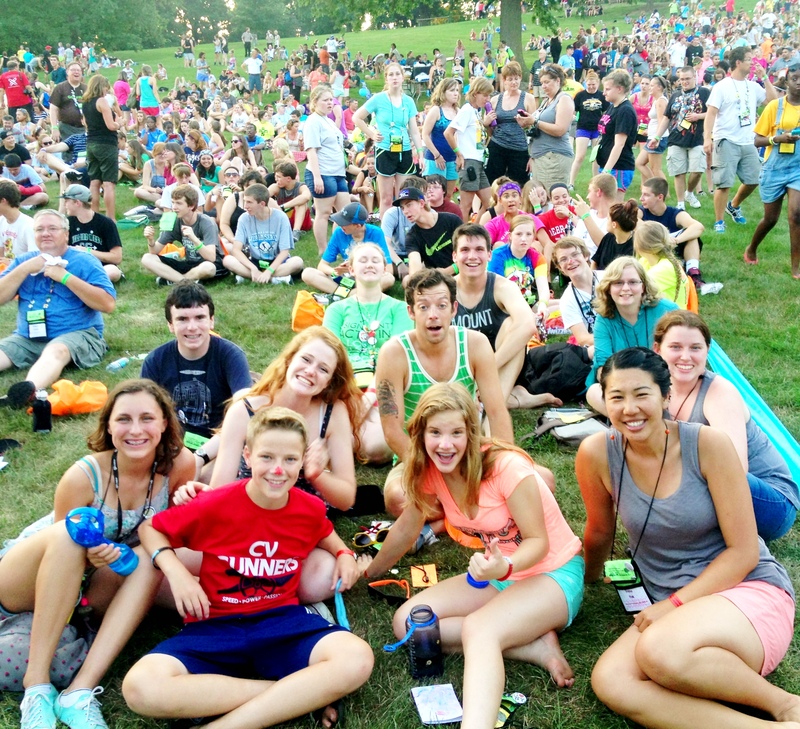 The last time I went to Triennium was in 1995 as a youth. Eighteen years later, there I was as an adult and the registrar leading the delegation. It’s a whole new world and perspective going this way. 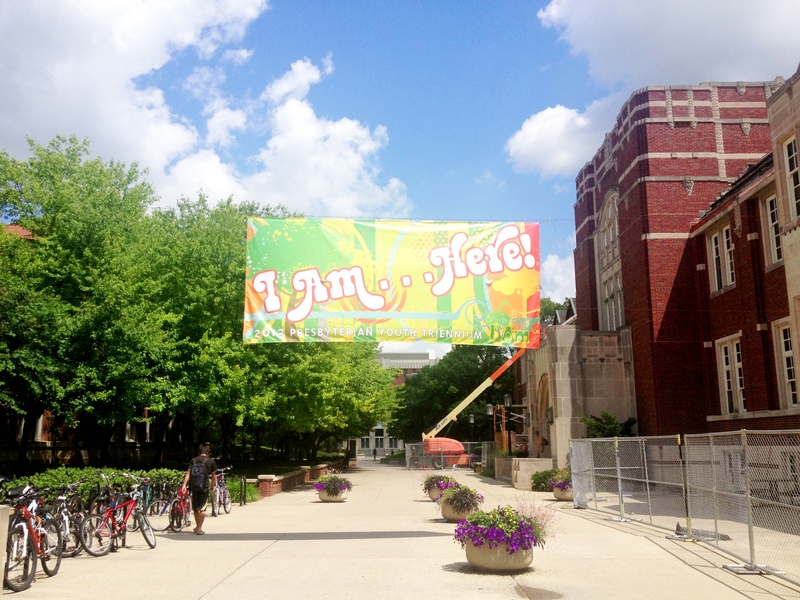 Last time I went, we also didn’t have AC in our dorms, but it felt like it took a different toll on me. It was SO HOT. When you sit still in front of a fan and you’re still dripping sweat…it’s hot. All that whining and complaining beginning to say–it was worth it. It was SO worth it. 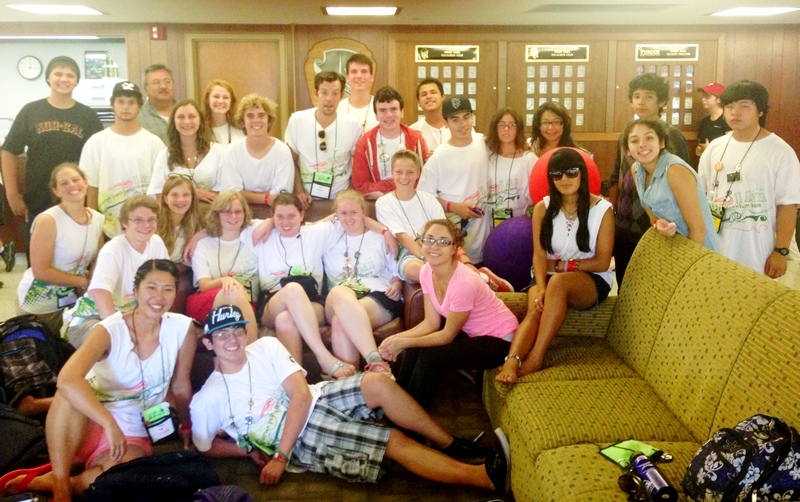 Here’s why I love what I do…. 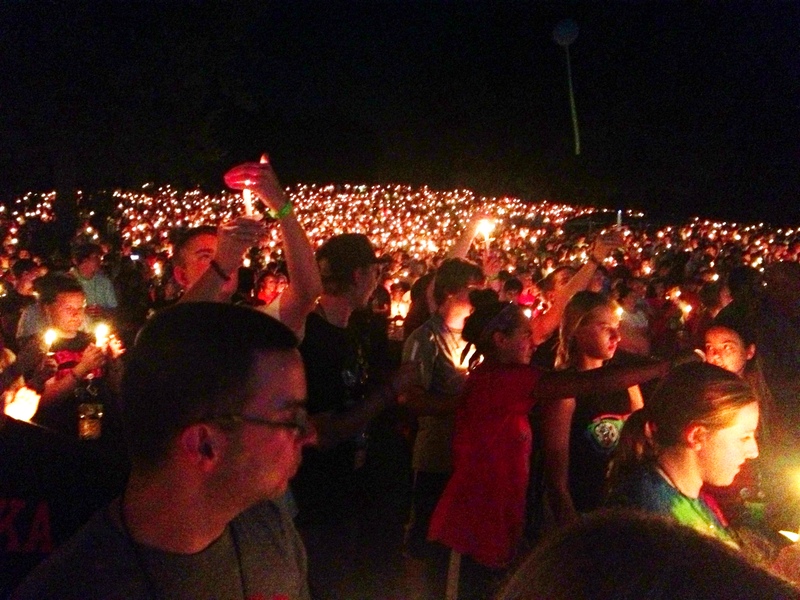 Because even though so much of me wanted to break down at times out of exhaustion or heat, watching over 5,000 youth and adults from all over the country and world sing and worship God together will sustain you. Because when you think what you’re doing doesn’t really matter–or when you wish you could “participate more” with the kids (even with things like running through the fountain with them) and feel like maybe you’re not cut out for youth ministry anymore, one of the teenagers comes up to you and thanks you for putting it all together and bringing them there. Some of San Jose Presbytery sitting hillside before worship on Thursday night. This entry was posted in Uncategorized and tagged #PYT13 by ireney07. Bookmark the permalink.